Connections among multi-energy systems become increasingly closer with the extensive application of various energy equipment such as gas-fired power plants and electricity-driven gas compressor. Therefore, the integrated energy system has attracted much attention. 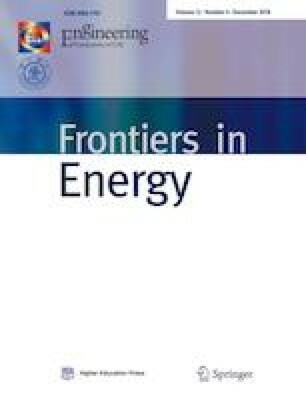 This paper establishes a gas-electricity joint operation model, proposes a system evaluation index based on the energy quality character after considering the grade difference of the energy loss of the subsystem, and finds an optimal scheduling method for integrated energy systems. Besides, according to the typical load characteristics of commercial and residential users, the optimal scheduling analysis is applied to the integrated energy system composed of an IEEE 39 nodes power system and a 10 nodes natural gas system. The results prove the feasibility and effectiveness of the proposed method. This work was supported by the National Fundamental Research Project (JCKY2017208A001), the Engineering Academician Advisory Project (2016-XZ-29), the National Natural Science Foundation of China (Grant No. 51876116), and the Postdoctoral Science Fund (No. 2018T10395).